Double glazing is an insulating technique where there are 2 layers of glass in a single frame with an air gap in between. 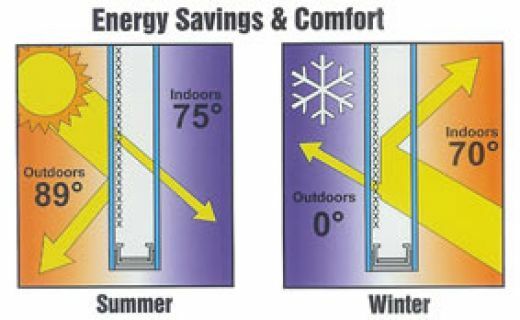 When designed correctly, the air gap provides both sound and thermal insulation. Most people perceive that double glazing is the solution to their noise transmission problems but this is not the case. Standard double glazed windows are designed to provide only thermal insulation, they are not designed to insulate against sound and will only provide minimal sound insulation. The size of the air gap between the 2 panes of glass and the types of glass used will determine the acoustic rating of the window and door system. Double glazed systems designed solely for thermal transmission reduction will be ineffective at reducing noise transmission. Capital Glass supplies and installs double glazed windows and double glazed doors for residential or commercial applications. The double glazed solutions do also provide better thermal insulation than the standard double glazed solutions. You benefit from a lighter, brighter, warmer and more energy efficient home thanks to the advanced thermal insulation from our krypton or Argon filled units with integrated warm space bar. Energlaze units are up to 64% more efficient than standard Double Glazing. Call us now on 01-453 2631 and we can help you design and fit the perfect double glazed solutions for your needs. Or why not drop us an e-mail by Clicking Here Now and one of our team members will call you back at a time that's right for you.